Has anyone ever warned you against sleeping with your mobile phone nearby? As technology advances, there remains a level of distrust with our devices and their impact on our health. But what if that device radically improved your quality of life? What if that device was created and tested by some of the brightest minds out there? Although the initial idea of technology implanted in your head may not sit comfortably with everyone, the life-changing benefits of cochlear implants are undeniable. They are a fascinating example of science enabling healthcare in the best of ways. I was fortunate to visit the Cochlear headquarters to see this work in action. As one of their five (soon to be six) manufacturing sites in four regions around the world, I witnessed firsthand how their products are made from start to finish. From baking them in an oven to release moisture, to flushing them with helium to check for leaks, it is an unbelievably thorough and precise process. With today’s technology, the implants are more sleek and discreet than ever before. But what often goes as unseen as the implants themselves, are the many standards behind their production. When I asked how many standards impact this market, the response was, “Hundreds. We don’t really think about it, but standards govern everything we do." 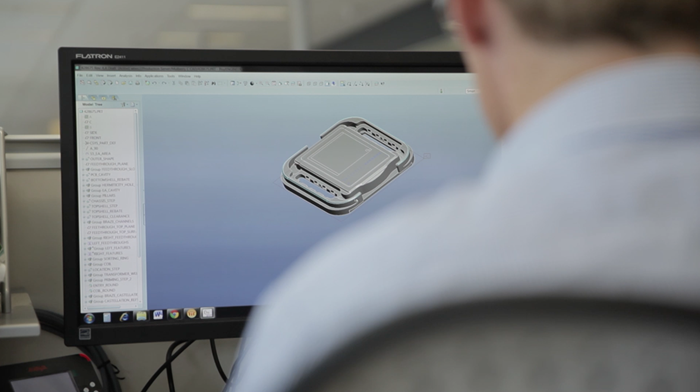 From the initial drawings of the implants, to their electrical design, from the way they clean to the way they test, standards are behind every cochlear implant made. Standards create the common language between the regulators, the manufacturers and the suppliers. They help capture an idea in a format that can be shared, understood and applied. There has also been a strong shift to international standards, a transition that comes with little resistance for global businesses. Using internationally-recognised standards simplifies the task of meeting the different regulatory frameworks of countries all over the world. Ian Burgess, CEO of the Medical Technology Association of Australia (MTAA), put the importance of international standards into context for the medical device industry. “While 90% of medical devices sold in Australia come from overseas, we are also generating more than $1.5 billion from exports of medical instruments and appliances. “It is therefore essential that we take a strategic approach to regulations and standards applicable to medical devices to ensure that Australian consumers have access to the best and latest technologies. “Harmonisation to international best practice results in direct benefits for consumers and efficiencies for industry,” explained Mr Burgess. Ultimately, standards exist for the end user. With so many tried and tested standards behind every individual device, a piece of technology becomes a trusted, lifetime solution. Those with cochlear implants may not recognise the complexities behind the development process, but they can live each day knowing their device is safe and reliable. The same can be said for those that use standards.